Paul the Venetian has an Etheric Retreat, in southern France at the Rhône River near Marseilles, also known as the Retreat of the Liberty Flame. Its physical counterpart is a chateau now owned by a private French family. 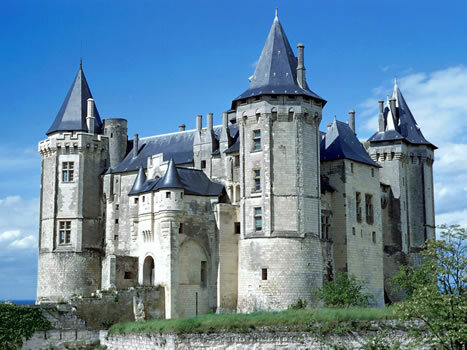 The Etheric Retreat is congruent with this French chateau and extends beyond the property. At the etheric sub plane level of the physical octave it contains classrooms with paintings and art work of every kind from all ages and races and cultures, as well as workshops for musicians, writers, sculptors, and students of voice. Here the masters introduce new techniques in every field of art. And here the Goddess of Liberty, sponsor of Paul the Venetian, brought the Flame of Liberty from the Temple of the Sun on Atlantis (located over present-day Manhattan). The impulse from this Flame compelled the construction of the Statue of Liberty, a gift from the people of France to the people of America. On the castle grounds are fragrant roses, fountains, marble columns and ponds with water lilies. This Retreat is a shrine to Beauty and Love. Students come to pursue art and culture in their finer bodies in many classrooms where great works of art are displayed. They create a self portrait that they hone from time to time, as their consciousness accelerates. A painting of the Holy Trinity created by the master with the inscription, “perfect love casts out all fear” emits a tremendous action of the Holy Spirit. In the Flame Room shines the Threefold Flame of Love, Wisdom and Power as brightly as the sun, imparting to students the true meaning of Liberty.